William & Mary are Todd’s great great grandparents, the parents of his great grandfather Thomas Elmer Reece. William Henderson Reece was born on January 6, 1851 in Jackson County, Ohio. 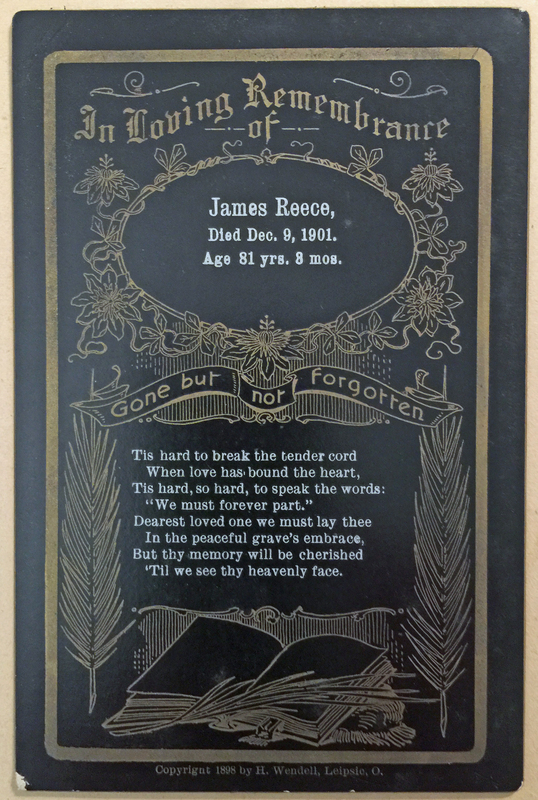 His parents are James E. Reece (whose parents were born in Germany) and Nancy Jane Anthony (whose mother was born in Ireland). He was the 3rd of their 9 children. Mary Lavina Montgomery was born on October 15, 1854 in Beason, Illinois. Her parents are Samuel Montgomery and Phoebe Elizabeth Pruitt. She was the 6th of their 10 children. Meanwhile, William was 9 and lived with his father James, age 38, and mother Nancy, age 37. They were farming in Clinton, Iowa. Five siblings lived in the home: Mary, age 16; Darius, age 14; John, age 5; Cyrus, age 3; and Thomas, age 1. Also in the home was Elizabeth Long, age 22. On the 1870 US Census, Mary was 14 and lived with her father Samuel, age 46, and mother Elizabeth, age 50. Four siblings lived at home: Joseph, age 20; Simon, age 17; Absalom, age 13; and Elizabeth, age 12. The family was farming in Oran, Illinois. Meanwhile, William was 19 and lived with his father James, age 49, and Nancy, age 47. The family was farming in Chester, Illinois. Six siblings lived in the home: John, age 15; Cyrus, age 13; Thomas, age 11; Rufus, age 8; Matilda, age 6; and Levi, age 3. 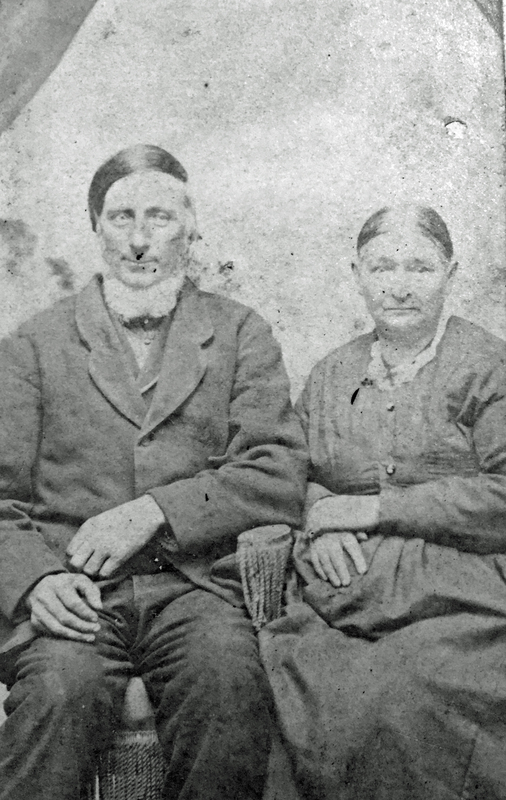 William and Mary were married on August 27, 1876 in Logan, Illinois. On the 1880 US Census, William was 29 and Mary was 25. They were farming in Oran, Illinois. On the 1900 US Census, William was 46 and Mary was 45. Thomas was 17, Oscar was 14, Nancy was 10, and Gilbert was 7. They’d been married 25 years and Mary had given birth to 5 children, and 4 were living. On the 1910 US Census, William was 59 and Mary was 55. Oscar was 24, Nancy (Lizzie) was 20, Gilbert was 17. They were farming in Grant, Iowa. On the 1920 US Census, William was 69 and Mary was 70. They were living in Creston, Iowa. Mary died on April 30, 1921 in Creston, Iowa. Her Find A Grave memorial is here. On the 1930 US Census, William was 79 and living in Creston, Iowa. William died on September 5, 1931 in Creston, Iowa. His Find A Grave memorial is here. Thomas Elmer Reece – Thomas is Todd’s great grandfather. Read more about him here. Oscar Roy Reece – Oscar was born on December 15, 1885 in Sumner County, Kansas. He married Grace E. Hampton on November 19, 1907 in Afton, Iowa. They had 3 children. (Grace’s sister Kate married Oscar’s brother Thomas Elmer – they are Todd’s great grandparents.) Oscar and Kate divorced sometime after being enumerated together on the 1930 US Census in April, and he died on September 17, 1931 in Creston, Iowa. His Find A Grave memorial is here. 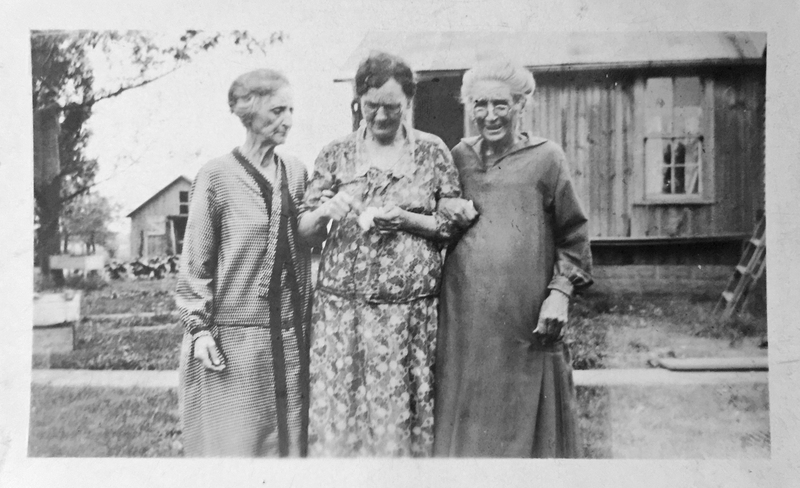 Nancy Elizabeth Reece – Lizzie was born on September 16, 1889 in Logan County, Illinois. She married John H. Coleman on January 2, 1912 in Creston, Iowa. They had 2 children. She died on December 20, 1978 in Leon, Iowa. Her Find A Grave memorial is here. Gilbert Henderson Reece – Gilbert was born on June 30, 1892 in Logan County, Illinois. He married Mary Alma Summers on July 20, 1923 in Sioux City, Iowa. (They considered themselves married much earlier than that, having had a child together in 1913. He listed himself as married on his 1917 World War I draft registration card, and they are listed as married in the 1920 US Census.) He died on January 5, 1970 in Kansas City, Missouri. This entry was posted in Reece Family History and tagged Gilbert Henderson Reece, Grace E. Hampton Reece, James E. Reece, John H. Coleman, Mary Alma Summers Reece, Mary Lavina Montgomery, Nancy Elizabeth Reece Coleman, Nancy Jane Anthony, Oscar Roy Reece, Phoebe Elizabeth Pruitt, Samuel Montgomery, Thomas Elmer Reece, William Henderson Reece by fillinginthefamilytree.com. Bookmark the permalink.